Welcome to our Rubber Pavers Section! Rubber pavers may not be among the most common paving materials used by contractors and preferred by property owners of residential and commercial establishments but this doesn’t mean that they lack some great benefits. In fact, these paving materials can go head-to-head against more popular pavers like brick or natural stones. Improved safety. Rubber is absolutely slip-resistant and is therefore the perfect choice for areas frequented by people such as playgrounds and pool decks. In essence, going for a rubber paved surface will prevent accidental slip and fall incidents from happening. Rubbers are soft and low impact surfaces so they are perfect for gymnasiums, play areas, and other high-activity areas. Environment-friendly. Manufacturers use recycled rubber when creating rubber paver units. This means that millions of tons of rubber that would otherwise be just thrown into landfills are being put to good use. Durable and sturdy. Rubber is an extremely durable material that will not chip or crack. This means that you get to enjoy your rubber paver surfaces for decades to come without worrying about them getting damaged. Rubber surfaces can also withstand extreme weather and will not be greatly affected by rain, snow, or ice. Hygienic and easy to maintain. Rubber is easy to clean and maintain and does not absorb bacteria. Affordable. Rubber pavers are cheaper than other paving options and are therefore ideal for those on a budget. Reduces noise. Rubber’s composition effectively reduces noises, which makes it ideal for conference halls and other areas where too much noise can be annoying. Versatile. Rubber pavers come in exciting design, colors, and patterns, making them highly ideal for custom projects. You can choose from Herringbone, stack bond, circle, basket weave, runner bond, and interlocking dog bone patterns, depending on your design taste and needs. Additionally, you can also pick from terra cotta, black, brown, red, green, and beige color options. For shapes, choose from dog bone square, rectangle, hexagonal, and Z pattern. Meanwhile, it’s important to get the right rubber pavers to ensure optimum benefits and best results. 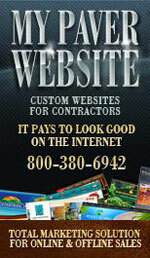 You can do this by checking if the rubber paver units you’re looking at are made of premium recycled rubber materials. It is likewise vital to know if the manufacturer used state-of-the-art process to create the rubber paver units. And finally, see if the products are free of factory defects and are aesthetically superior and feel very sturdy. 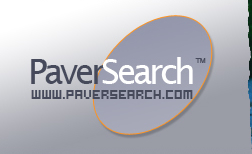 Below is a list of Rubber Pavers Resources throughout the United States.